Everything. The brilliant and charming staff and the peace and quiet. I loved the houses, stylishly decorated and well kept and well thought out - it had everything we needed and more. Loved the pool, all facilities were excellent and staff were so helpful. Thank you. 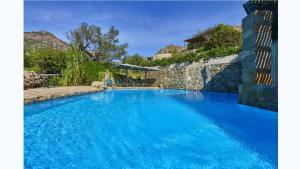 Lovely peaceful setting, great accommodation and lovely pool. Loved everything about it! The architecture and landscape were really beautiful. 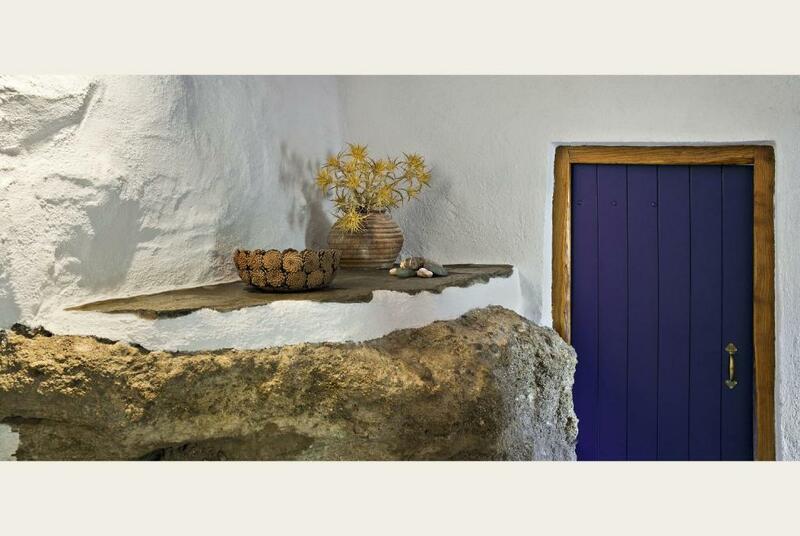 The cottage was really harmonious, a great eye for details. The reception was really welcoming and nice. 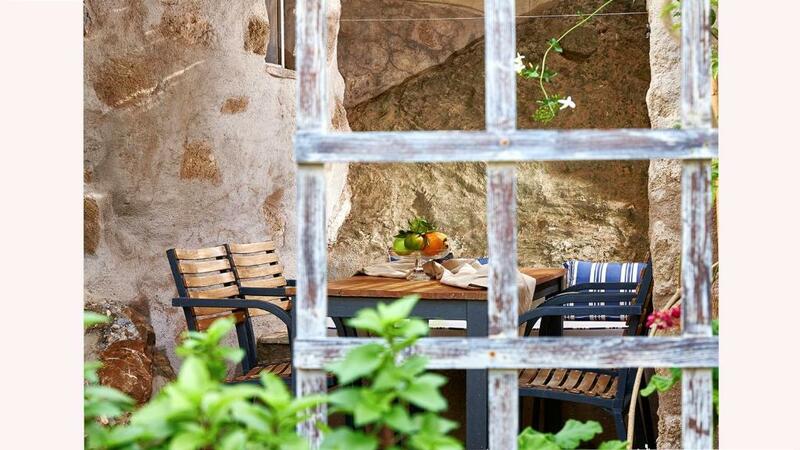 The village of Makry Gialos had a few nice cafes at the beach and a laidback atmosphere. Great location with fantastic views of the valley and gorge. Superb walks nearby. Basic kitchen facilities - but good enough to cook for 2. Staff are friendly and helpful. Recommended. - Lovely cottages, tastefully decorated. - Homely feel: can buy great wine (super cheap!) from the local monastery at reception. As well as eggs and honey. - Nice pool area. - Great beaches/ancient sites to explore nearby. Each of the holiday cottages on the complex have their own unique character and charm. Every detail inside is catered for. Bottle of red wine on arrival, lots of small conveniences to hand. For example, how many cottages not only have a washing line, but provide pegs as well! Pool area was fabulous. Well maintained and just lovely. Staff are warm and welcoming. I wish I could live there. Just a wonderful experience! Wonderful location for chilling out. Off the beaten track. Very rustic. 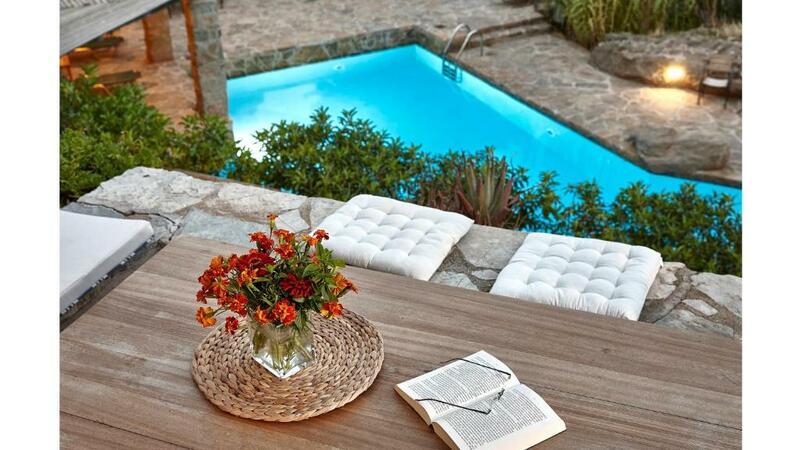 Beautiful swimming pool. The staff were just wonderful. 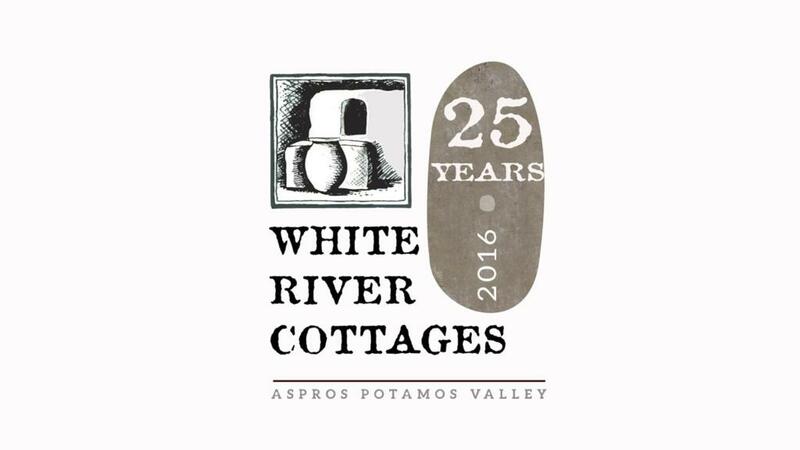 Lock in a great price for White River Cottages – rated 9.1 by recent guests! Offering a spacious outdoor pool, White River Cottages is a complex of 13 restored stone built houses, located in the tranquil valley of Aspros Potamos. The nearest sandy beach is 0.6 mi away. Free WiFi is available throughout. The accommodations is air conditioned and features a seating area. There is also a dining area and a kitchen fitted with an oven. A toaster and refrigerator are also provided, as well as a kettle. Towels are offered, while a washing machine is available upon charge. A range of scenic beaches can be found within short driving distance, while several restaurants and shops are located within 0.6 mi of the property. Ierapetra is 16 mi from White River Cottages and Sitia is 21 mi away. Heraklion Airport is 75 mi away. 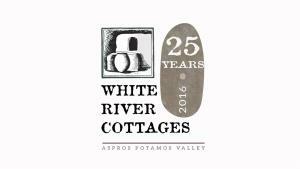 When would you like to stay at White River Cottages? This apartment has a sofa, private entrance and stovetop. 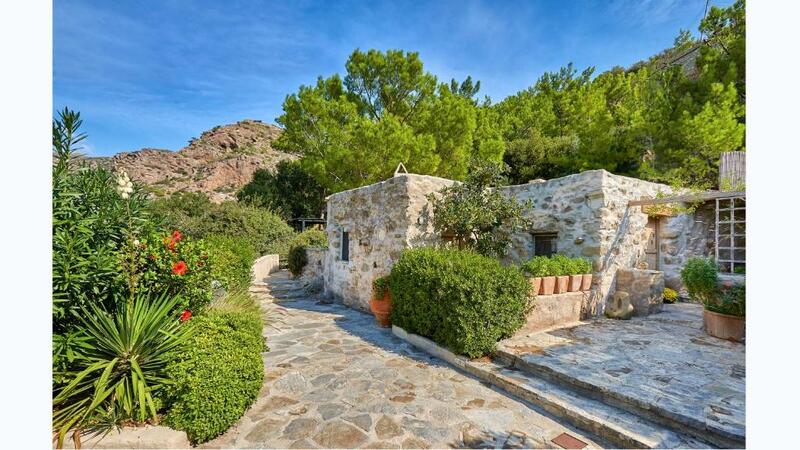 This studio has a garden and mountain view, private entrance and air conditioning. The holiday villages of Makrigialos & Analipsis, are around 1km from White River Cottages. There are numerous shops, bars, tavernas and small supermarkets, lining the main road through the villages, most of which are open from early morning til late evening. The local supermarkets tend to close around 22.30 depending on the time of the season. Makrigialos means "long beach" and this is exactly what we have; a long, sandy beach stretching right the way along the two villages. The sea is clean and safe, as it doesn't shelve steeply (apart from occasionally if there has been a rough sea) so it is ideal for young children. Beyond that there are smaller beaches and coves to be found, ranging from coarser sand, shingle to rocky. There is some stunning scenery to be seen and within a short drive of the village you can often find a quiet beach to yourself, out of high season. It is well worth a drive into the mountain villages, where traditional life can still be experienced. A popular walking trip is up the Pefki gorge, which is very close to White River Cottages. It is a leisurely 2 hours walk to the village of Pefki, where you can have lunch or refreshments, before heading back down. There is the choice of the path through the gorge or above the gorge. Pefki also has a folk museum and some amazing caves, which are well worth a visit. There are several other gorge walks in the area, some harder than others. Longer drives to the famous palm beach at Vai, Toplou Monastery (where White River Cottages sources it's red and white wine, on offer to guests) for a wine tasting experience, archaeological sites of interest eg at Kato Zakros, can make for an enjoyable day trip. Some of the local tavernas offer Cretan music and dance evenings, which can be great fun but not for you if all you want is a quiet evening out! A great day out for all is the daily boat trip (weather permitting) to Koufonisi Island. The "pirate ship Evdokia" departs every morning from Makrigialos harbour for the short trip to the stunning island of Koufonisi. Food and drink can be bought onboard if desired. They stop for swimming and exploring time and return to the harbour, early evening. There's plenty to choose from if you want a more active holiday; alternatively you can just relax and chill around our pool! House Rules White River Cottages takes special requests – add in the next step! White River Cottages accepts these cards and reserves the right to temporarily hold an amount prior to arrival. Housekeeping and change of linen take place twice per week. Please inform White River Cottages of your expected arrival time in advance. You can use the Special Requests box when booking, or contact the property directly using the contact details in your confirmation. I so missed comfy chairs and cushions on the terrace. Everything was a bit grey and drab - flowers and colours would have made it more inviting. Wasps made it more or less impossible to eat outside. 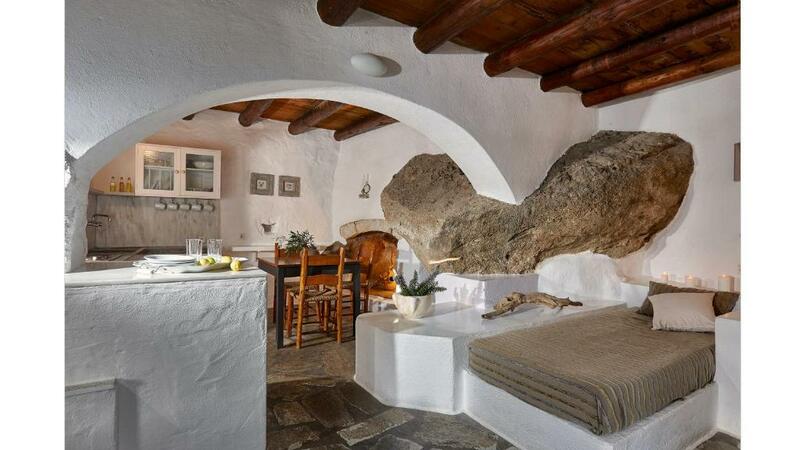 Fairly remote and quiet as described- charming well equipped cottages. The cleaning utensils were kept in the shower, which was odd and unconvenient. Very nice location. Highly recommended! - Walk down to the harbour area is fine if you're young/fit but a bit of a hike otherwise. It's 900m to the main road through dark olive groves (so a little spooky too). - Mattress was very soft in our room (cottage 12). I'm sure would be fine for some but I really didn't sleep very well on it. Property was wonderful in all other respects, but my only complaint was that the bedroom had a white curtain which was useless at keeping out the light. Fortunately they provided a spare blanket for the bed which we used as a blackout blind. Distance from town and proximity to ameanities. Very little in welcome pack (flowers and wine, no food when you arrive late in the evening with children). You have to have a car to be here unless you are someone accustomed to gill walking. The distance from the town is 1km but it isn't an easy walk. It is unlit and not suitable for children.